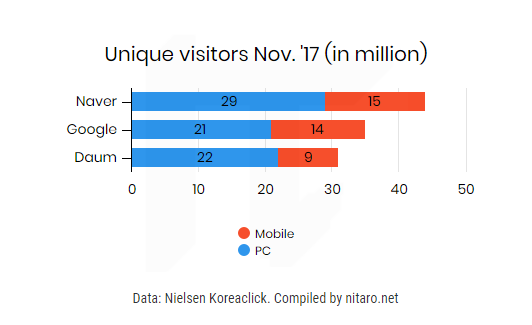 Want more Koreans to visit your website? Then you have to do search engine optimization (SEO) for Naver, Korea’s largest search engine. SEO is necessary to rank higher organically in any search engine or portal (like Daum, Korea’s second largest portal). 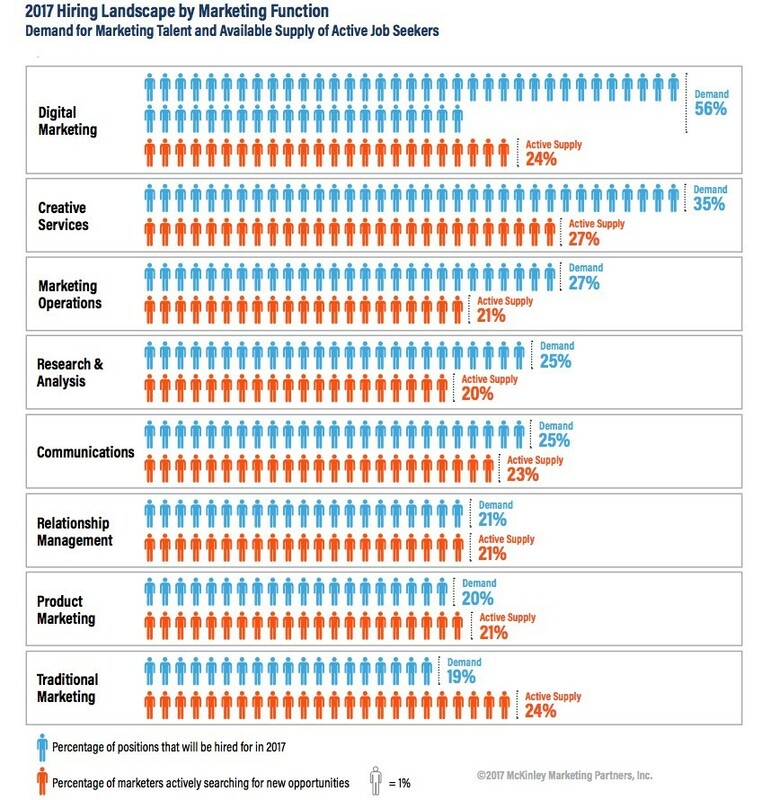 Search engines and portals have factors to decide how much traffic they send you. These characteristics are also called algorithms. Search engines are machines, so they use robots (spiders or web crawling bot) to discover new and updated pages to be added to the index. Make sure you know the rules and your website and its pages will be included in there prominently! Technical SEO is website and server optimizations that help search engine spiders crawl and index your site more effectively (to help improve organic rankings). On page SEO is the practice of optimizing individual web pages in order to rank higher and earn more relevant traffic in search engines. On page refers to both the content and HTML source code of a page that can be optimized, as opposed to off page SEO which refers to links and other external signals. 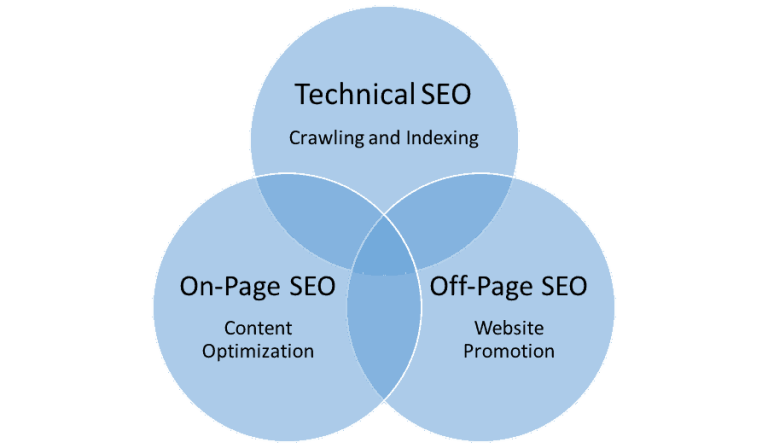 Off page SEO refers to techniques that can be used to improve the position of a web site in the search engine results page (SERPs). Many people associate off page SEO with link building but it is not only that. 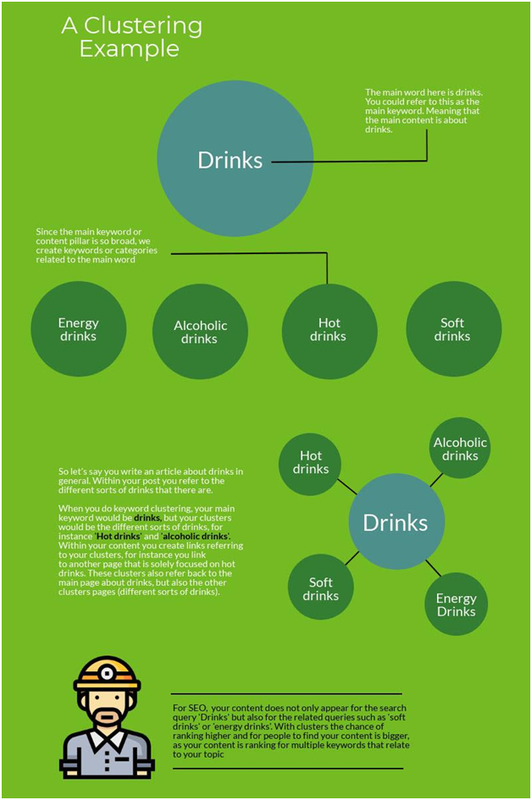 It is highly recommended to start optimizing your website in this order as well. Site speed is becoming one of the most important ranking factors. 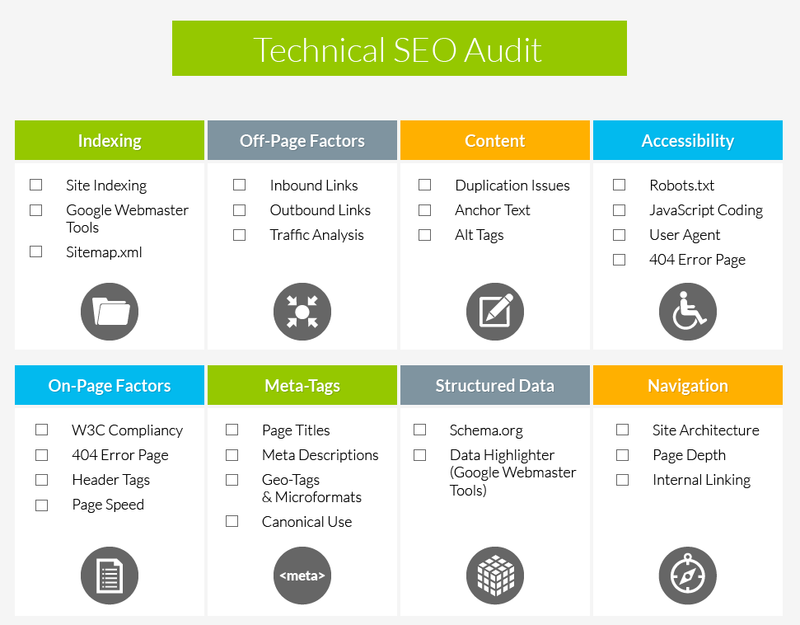 To see how your website is doing in terms of SEO, you can do an audit. Make sure you use the right keywords to promote your site. What is UX design? User experience design (UX) is the process of enhancing user satisfaction by improving the usability, accessibility, and pleasure provided in the interaction with it – in other words, optimize for conversions. You can apply UX design to your website. People will stay longer thus making your website rank higher. 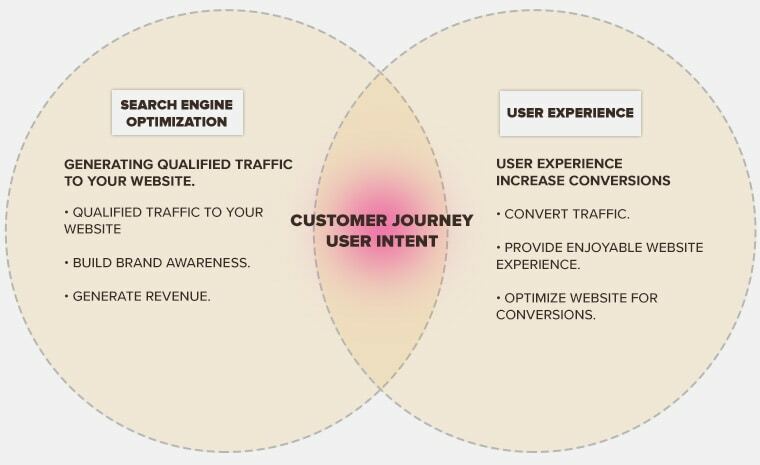 Until recently UX and SEO were two separate worlds, but they are slowly influencing each more and more. To rank first page in Google or Naver, your website has to fulfill the search intent of the respective query – what do your site visitors want? One way to find out which buttons / links people click, where people scroll and how long people dwell, is by using heatmaps. Another way is by using Google Analytics’ Events Tracking. SEO is the process of organizing your site so that search engines’ spiders can better understand it. 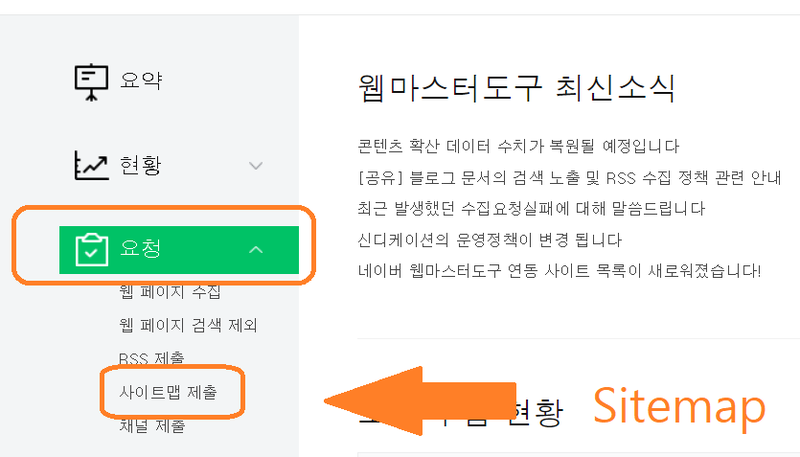 This allows you to prevent your site from being missed in Naver’s search results. Above all, you can tell Naver clearly what content you want them to include. Naver Search prefers a SEO friendly site. Naver Search and Webmaster Tools will help you get an increase of site visitors. Read through this 6 point checklist carefully to make sure your site is optimized. 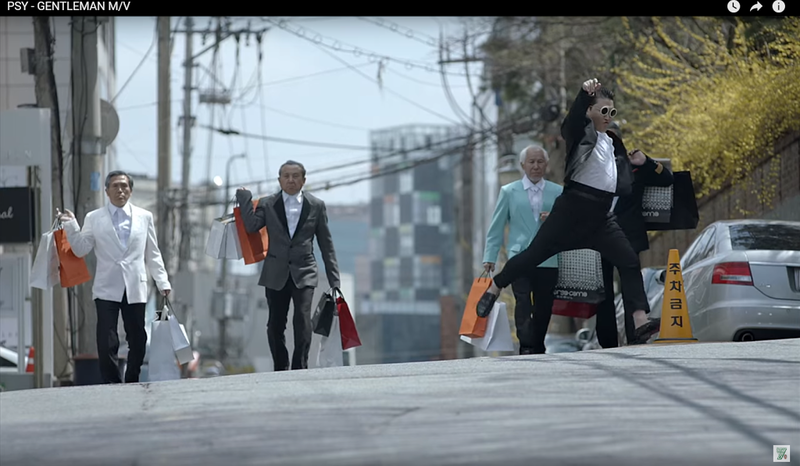 Congrats, you are now officially on Naver! 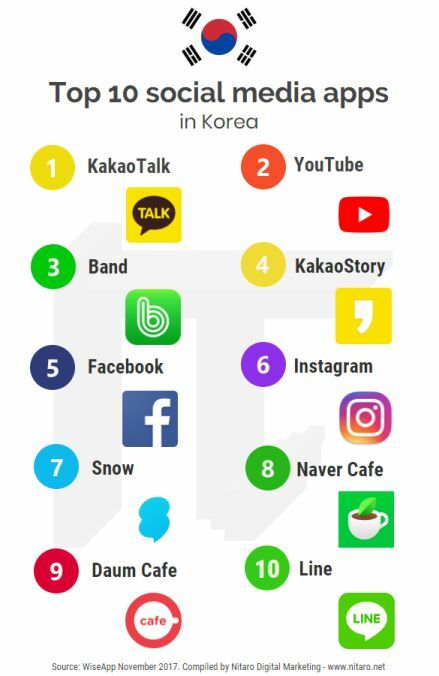 It happens very often that (Naver’s) social media channels rank higher than your actual website. It is highly recommendable to start a Naver Blog, Cafe, Modoo, Post or even Tistory blog. 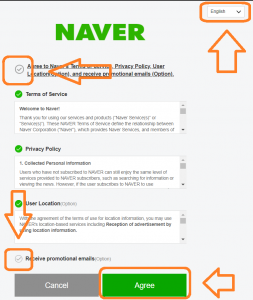 Below you will find a guide to add your website and sitemap to Naver Webmaster. You can switch to English. Fill in the info, you need a mobile phone number (from any country). Type your website’s address and hit the green button. You can either verify your site with HTML file upload or HTML tag. Or, continue without verifying your site. That is it, you have submitted your site to the Naver index! Click the button on the left to submit your sitemap. Set up a single host name, with single URL. Follow the host name standard. Do not use an underscore in the host name. Use robots.txt to allow search robots to visit. Create a sitemap XML file to show the structure of the entire site. The error page should conform to the HTTP status codes. Allow Naver’s search robot to pass through the site’s firewall. Do not create multiple hostnames / URLs that represent the same thing. If you need to use multiple addresses, use 301 redirect to the canonical address. If it is difficult to 301 redirect to a canonical address, fill in the canonical address with rel = “canonical” in the HTML markup. Without a robots.txt file, Naver Search robots will consider all pages in the site as public. A sitemap is an XML file containing a list of URLs within a site. You can tell the search robot which pages of the site should be indexed. Use “404 Not Found HTTP response”. Do not redirect to the error page. Use “HTTP 200 OK” code. Use the HTTP status codes with software. Don’t use “HTTP 200 OK return”. A responsive web is a technique whereby a web browser automatically adjusts the width of a web document to fit the screen size of the device. Responsive sites can deliver device-optimized content using the same URL, regardless of desktop or mobile experience. The Naver search engine recommends responsive websites. If there is a separate mobile site that corresponds to your desktop site, when visitors access desktop site with a mobile web browser visitors should automatically redirect to mobile site. Sites that provide separate mobile URLs often provide the same content as the desktop site. In this case, we recommend that you explicitly specify the URL of the desktop site that corresponds 1: 1 to your mobile site’s page. Allow access to the Naver search robot on the firewall. The User-Agent name of the Naver search robot is Yeti. 169.235.209.125.in-addr.arpa domain name pointer crawl.125-209-235-169.web.naver.com. 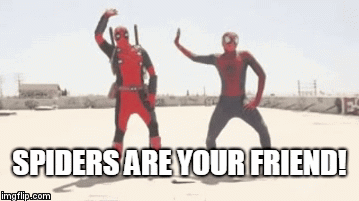 It is more difficult for spiders to make sense of images than text. The search robot cannot recognize the characters in images very well. If you use an image to present of information, we recommend that you use the “alt” attribute to describe the information in the text. Do not use too many characters, it may be mistaken as spam. It is very tempting to copy other sites’ info. In this case, the search robot not only judges the document as a duplicate document but also judges that the site has a low value site because it does not produce new quality information. Even if only a part of an article is cited, the original source should be informed with a direct link (Deep Link). Therefore, it is recommended that you produce good information that search users need from your own perspective. If you change your site or a page, use 301 Permanently Moved redirect. If you change the URL of a site or a page, the search robot may mistakenly think it is new information that is different from the existing site or page. When changing the URL, it is very helpful to inform the search robot of the existing URL. Use 302 Temporarily Moved redirect when you change your page. When your site is temporarily disabled or changes pages for a while, the search robot may erroneously determine that the page has been deleted if it does not receive a response. Use a 302 format redirect according to the HTTP status codes when there is a temporary disruption in the site or if you change the page for a while. If you want to block Naver search robots for a while, use Naver Webmaster Tools. If you need to temporarily block Naver Search robots, it is recommend that you limit traffic in Webmaster Tools. Depending on the size of your content (number of URLs), you should decide whether you want to migrate your site all at once or in phases. Small to medium-sized sites are encouraged to move all URLs at the same time. You must use 301 redirect to move to the new site when visitors access the old site. Restrict the robots.txt of the new site to non-permitted to limit the visits of search robots. Move the content of the old site to the new site. Set up your domain to the new site. Allow all new sites’ robots.txt and redirect to the new site when they are accessing the URL of the old site. Register your new site on Webmaster Tools. Guidelines for a neat and efficient site termination. If you only want to pause operations, rewrite permissions of all users except administrators. If you want to terminate the service, put a notice of termination for at least one month. Sites that have been abandoned are prone to be a target of spam. When your domain expires, your website will be disconnected and will be passed on to your domain provider. Users who visit your abandoned site may be redirected to low-quality sites with possibly offensive contents. Expired domains may be redirected to low-quality sites with possibly offensive contents.